At the 2016 American Geophysical Union Fall Meeting in San Francisco, 20+ thousand earth scientists were in a pretty bleak mood following the election of the most science-hostile administration in history. Well, it wasn’t California, but some determined Greens have decided to do exactly that. In February, he signed on as the project’s manager, after having taken a long look at the technologies required. “It’s hard, but we could probably pull it off,” he said. Now the rest of the world can decide for itself. On Wednesday, Fred Krupp, the president of the Environmental Defense Fund, announced plans for MethaneSAT, an orbital eye in the sky that could monitor industrial methane leaks all over the planet. Methane remains one of the thorniest climate problems. It is the major component of natural gas, which produces half the carbon dioxide of coal when burned to run electric plants. But when methane leaks, it is a potent greenhouse gas that traps more than 80 times as much heat as carbon dioxide in its first 20 years in the atmosphere. By some estimates, human-caused emissions of methane are thought to be responsible for about a quarter of the warming being experienced today. But figuring out where methane emissions are coming from is a major challenge. The colorless, odorless gas has proved difficult to measure at the source of leaks without nearby access to the sites. Early attempts by the Environmental Protection Agency to determine the scope of the problem significantly underestimated emissions. The Environmental Defense Fund has worked for many years on methane issues; it organized a five-year, $20 million research effort into leaks in the United States across the production and supply network. That research, which helped the E.P.A. adjust its national emissions estimates, involved local measurements from ground instruments and airplane flyovers. But such methods are not always feasible — or welcomed — in other countries. Some government-launched science satellites do monitor methane, but their instruments lack the resolution to pinpoint sources on the ground. Some commercial ventures also detect methane from space, but their data is proprietary. MethaneSAT, by comparison, is designed to detect emissions across the planet with sufficiently high resolution to identify sources. The organization plans to make the data publicly available so that companies, policymakers and regulators can take action. Identifying major sources of leaks could help governments and industry coalitions work together to address the problem, said Daniel J. Jacob, a professor of atmospheric chemistry and environmental engineering at Harvard. “How can you do climate policy for methane if you don’t know where the sources are?” he said. Mr. Krupp, the Environmental Defense Fund president, is announcing the initiative at the TED2018 conference in Vancouver, British Columbia. His organization has already obtained most of the “tens of millions of dollars” that building the satellite and launching it should cost, Mr. Krupp said in an interview. Much of the early money came from the Robertson Foundation, which has environmental work as part of its focus. The launch is planned for late 2020 or early 2021. Space is a tough neighborhood; timetables slip and challenges proliferate. But the “new space” movement has helped move orbital launches out of the realm of superpowers and put it within the reach of businesses and nonprofits. “I think this is entirely feasible,” said Peter Platzer, the chief executive of Spire Global, a satellite company, who was not involved with the MethaneSAT project but has talked with members of the team extensively. OOH-Rah and Semper Fi—–Governor Moonbeam returns, and he’s really headed for space this time!. Kudos to the Environmental Defense Fund—-glad to see that they got some “big” money for their satellite—-I will continue to send them my small bucks, though—-someone needs to pay for the stirrers in their coffee room. Kudos, yes. And a pity that there is an urgent need to do that. Usually it should be the task of authorities who represent the people, the government authorities. Well, half of the US Americans didn’t even bother any more casting their vote. A pathetic display of the state of democracy in the US and A.
Methane emissions from livestock are nearly equal to what is produced by natural gas, but once again, that is completely left out of the equation. We NEED hamburgers to survive, right? We can’t change that — right? Watch the flies gather around this half of the equation… .. . The C02e they ’emit’ comes from the grass they just ate which in turn just sequestered it from the atmosphere. Cows breath – as with that of the 60 million Bison that preceded them – is just part of the daily carbon cycle. You are being suckered and this anti cow nonsense is a manufactured distraction. By the way – I don’t eat hamburgers and never have. Really Leslie Graham? Carbon neutral? And I suppose you’ll also tell us that the ocean dead zones spreading from tributaries laden with the excrement of 70 BILLION factory farm animals is a fiction also? We live in a manufactured distraction. Milk – it does the body good! The incredible edible egg. Beef – it’s what’s for dinner. Pork – the other white meat. I agree that the problem of anthrogenic climate change is multifaceted, but to imply that the resources required to raise 70 billion farm animals, chop them up, and deliver them has no impact seems like a stretch. As far as methane contribution goes, read the literature from the EPA and FAO of the UN. They clearly state that animal agriculture contributes nearly half of the methane GHGs. So we can immediately pinpoint where nearly half of the methane emissions originate from — livestock. Do we really need a satellite to verify/address this HALF of the problem? Or do we just need to take the blinders off? And then, remember this: If we get rid of cows, that leaves one heck of a lot of grass and crop chaff that will simply rot. And guess what rotting vegetation produces? Methane and CO2. I’m not sure where you got your tinypic from Gingerbaker, nor your ideas about fields of rotting vegitation and misplaced outrage because of all of the cows suddenly disappearing. Your love of the hamburger isn’t saving anybody anything. And if anybody cares to take a look, there is good information to be had straight from the horse’s (or cow’s) mouth from the Food and Agricultural Organization of the United Nations. Still too many flies buzzing around this conversation. First of all, the formula for nitrous dioxide is NO2, so you’re talking about nitrous oxide (N2O) Secondly, and as your post actually points out by the numbers which you just wrongly interpret, the amount of human released CH4 emissions are still worse than NO2 emissions. We’re still not talking about methane feedbacks which science still isn’t able to properly forecast. I see what you mean about the n2o vs. no2 Sir Charles. I copied and pasted that directly from the UN report. While it seems pretty clear that you are correct about the molecular nomenclature — the numbers are the numbers issued in the report from the FAO to the UN. Thanks for sharing the picture of the lagoon. It looks like a massive bleeding heart. 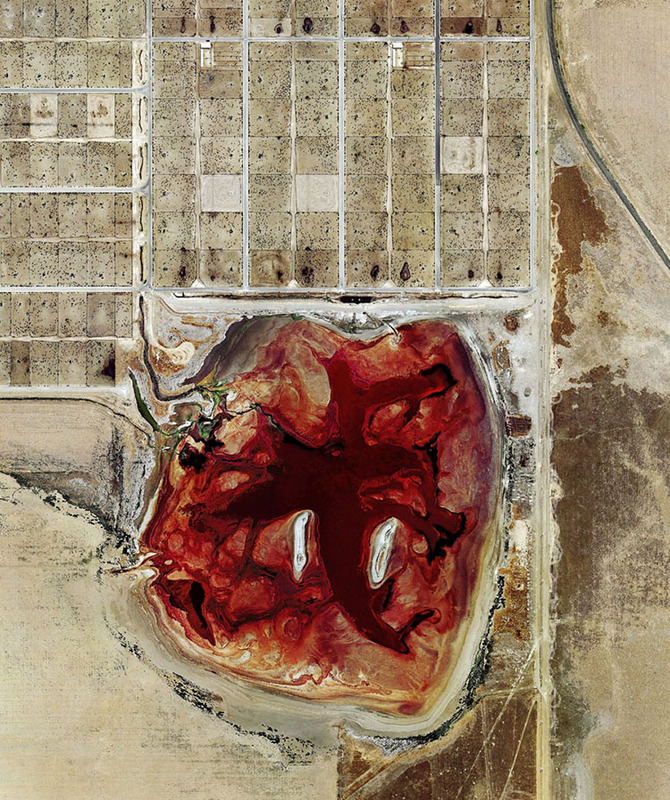 Every minute, 7 million pounds of excrement are produced by animals raised for food in the US. There are no municipal sewage systems to deal with all of this waste. Animal agriculture is the leading cause of species extinction, ocean dead zones, water pollution, and habitat destruction. It would be really great if the environmentally conscious started paying attention to these facts. That report had so many grievous errors in it that the authors apologized. It is, in some cases, off by a factor of ten in its data. The tiny pic you disparage is from the EPA and is labeled as such. If you had read it, you would have seen that all all of your hyperbole is displaced – the issues you bring up and very minor compared to the burning of fossil fuels. The Koch brothers love your unabated efforts to distract everyone from the real issues, however. OK, I apologize – the chart is not labeled as I thought. It is from the EPA report of, I believe, 2015. The total U.S. GHG emissions from cows, including methane *and* NO are 127.7 CO2 equivalents, out of a total of 6,673.0. From that 6,673 we get heat and transportation, and industrial processes that we can get from RE without the GHG content. From the 127.7 we get meat and milk and leather and fertilizer and 150 other products that would have to be otherwise synthesized and manufactured in factories. The carbon atoms in a cow all come from CO2 that was scrubbed from the atmosphere to make , mostly, grass. In that sense, they are like biofuels, IOW, carbon neutral. Without cows to graze on that grass, it will rot, making CO2 and some methane, anyway. Does processing that grass in a ruminant result in an incremental increase in methane compared to letting it rot? Yes. But that is the price we pay for food. We need to put this into perspective, too. The agricultural sector emits 9% of U.S. GHG emissions. the majority of that 9%, equal to 5% of U.S. emissions. is for raising vegetables (!). Should we eschew vegetables? No? Vegetables are perfectly OK, but meat is evil? Perspective needed, yeah. And the ratio is 127.7 / 6,673. That is 1.9% of our CO2 equivalent emissions are from cows. Could we *please* focus on the other 98.1% instead of disparaging people who do not agree with you on the venality of a hamburger? Gingerbaker, my wife and I have lived off of solar and wind power for the last 13 years. For most of that time we didn’t have a car either. Regardless, I’m pretty sure that the Koch brothers couldn’t be bothered by us for even a heartbeat. I’d really like to see a source for your comments about inaccuracies in the FAO United Nations report. It seems to be nothing but pure steamy BS. Don’t worry Ginger. No one is going to take your hamburger away. Oh, and sorry Ginger, I guess I was looking was looking at the 2017 report, not the 2015 report that you mentioned. Animal agriculture contributes 44% of Methane emissions according to the FAO… .. . Call it a third if you want to try and bend it your way. How this makes it somehow not a concern, I still don’t understand Gingerbaker. And more, according to another report from the Food and Agriculture Organization of the UN, Animal agriculture is responsible for 18 percent of greenhouse gas emissions, more than the COMBINED EXAUST OF ALL TRANSPORTATION. But once again, I guess that it depends on your perspective. How much do you value a certain taste and texture on your plate vs. , … .. you know — the future of all mankind. Make the connection. Develop different tastes. Again, I would direct you away from reliance on the FAO report for sturdy facts. Btw, ad hominem means you have lost the internet. Ummmm…. methane is supposed to have only a 12-year lifespan in the atmosphere, and the EPA says the proper multiplier is 20 or 25, I can’t remember which. CO2, on the other hand, lasts 5,000 to 10,000 years, so it is easy to see why people like Gavin Schmidt are not particularly worried about it. What must be considered is the method of evaluating. Yes the lifespan of a Cubic meter of CH4 is a logarithmic decay. A fraction is still present in 100 years even if the figure of 12 years is quoted as “The most active period”. However it’s instantaneous value over say 1 day is in the order of 120 x CO2. This where different figures come from. However the situation we have is not one of a decaying concentration in which case those factors are valid, but rather one of an increasing concentration, or at best reasonable stable concentration. In which case those multipliers are irrelevant and far from valid. It is complicated, to say the least. Different lifetimes in different strata, too. But the world has pretty much as far as I can see, agreed to use the EPA numbers. I have looked into methane numbers a bit, and they are wobbly. Cow belch data is extrapolated from measurements done a while ago and taken as granted. Meanwhile, we know that methane is rising. We know that fracking and the natural gas industry’s leaks are higher than previously thought. But I do not think that anyone has done an analysis of the stoichiometry of these changing numbers. What your EPA says is outdated, Roger. The IPCC states that over a hundred-year timescale, methane is 34 times as potent as CO2. Over a 20-year timescale, with carbon feedback taken into account, methane’s global warming potential is 86. This company is going to have to spend some money on security. Big fossils absolutely doesn’t want methane to be measured (remember: the solution to coal is natural gas, ha ha), and will scuttle any attempt to do so. There is a reason the governments of the World are not doing a good job of measuring methane (called payola). The easiest way to destroy a satellite is not at the manufacturer, but just before launch, at launch base. The launch provider is another company that doesn’t really care whether the satellite makes it to orbit or doesn’t. Climate satellites have a proven record of not making to orbit through the witheringly small probability of ‘fairing failure’ (which is a failure of the rocket’s fairing to open when commanded). There has been something like 5 fairing failures in all of the Space Age. 2 of them were climate science missions, 1 another Earth science mission. 1 was S Korea’s first-ever rocket launch, and 1 was an American mission back in the early 1960s. Basically, modern fairings don’t fail unless someone wants them to, and it should be obvious, by now, that ‘someone’ just doesn’t want the science to be done on this issue. I remember a couple of years ago the four corners area (where Arizona, Colorado, New Mexico and Utah meet) was identified by NASA as the biggest methane hot-spot in the U.S. Many of the abandoned sites were leaking. Not sure on the efforts to clean-up since the NASA observation, especially of late with, change of government and the easing of EPA rules. Just hope this private venture successful, and can enhance NASA’s efforts. Huffpost posts a pessimistic report on the area. Drilling rigs still dot the farmland surrounding Durango, although the once abundant natural gas extracted from coal seams has largely dried up in the last 30 years. Production boomed in the 1990s, and a slowdown in the gas industry has curtailed new development. But even if production has stalled in the area right around Durango, it still sits on the northern end of the 7,500-square-mile San Juan Basin, which the Energy Information Administration ranked as the fourth-most-productive gas field in the nation. Most of the basin’s estimated 40,000 active and abandoned wells are in New Mexico, the biggest reason the area is such a methane hot spot. Although some of the methane is leaking from natural geologic sources and a nearby coal mine, NASA’s study found that the gas drilling and processing is the biggest source of the potent greenhouse gas.